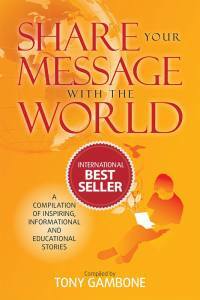 Buy your copy of the International Best Seller, “Share Your Message With The World” here. Click BUY NOW to purchase your copy TODAY! Note: Contact Us for Shipping Outside The United States! Click this Buy Now below to Purchase a Signed Copy. Please allow additional time for delivery of signed copy.